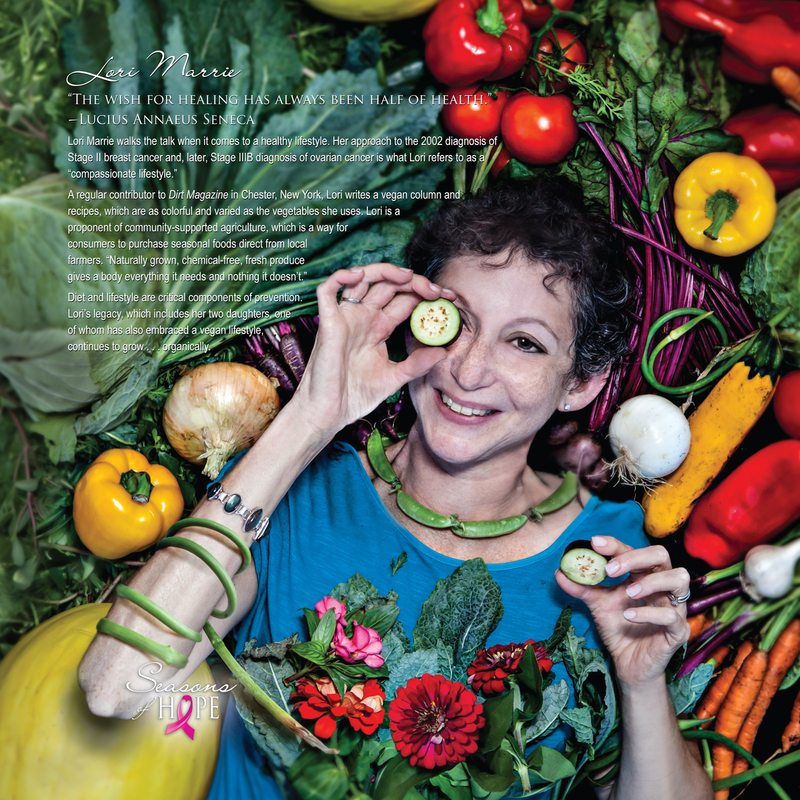 Photographer, author create hope for women with breast cancer: the Seasons of Hope 2016 Calendar to create breast cancer awareness, foster prevention and inspire hope. According to the American Cancer Society, one in eight women in their lifetime will be diagnosed with breast cancer. 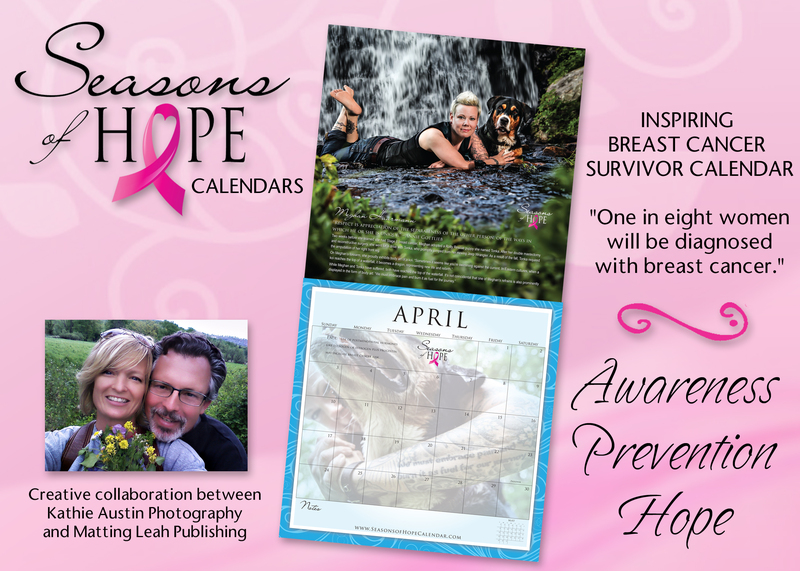 To help change those odds, the talented portrait and fine arts photographer Kathie Austin of Kathie Austin Photography and award winning author Matthew S. Field have produced the Seasons of Hope 2016 Calendar. 1 in 8 women will be diagnosed with breast cancer. Together we can save a life. According to the American Cancer Society, one in eight women in their lifetime will be diagnosed with breast cancer. 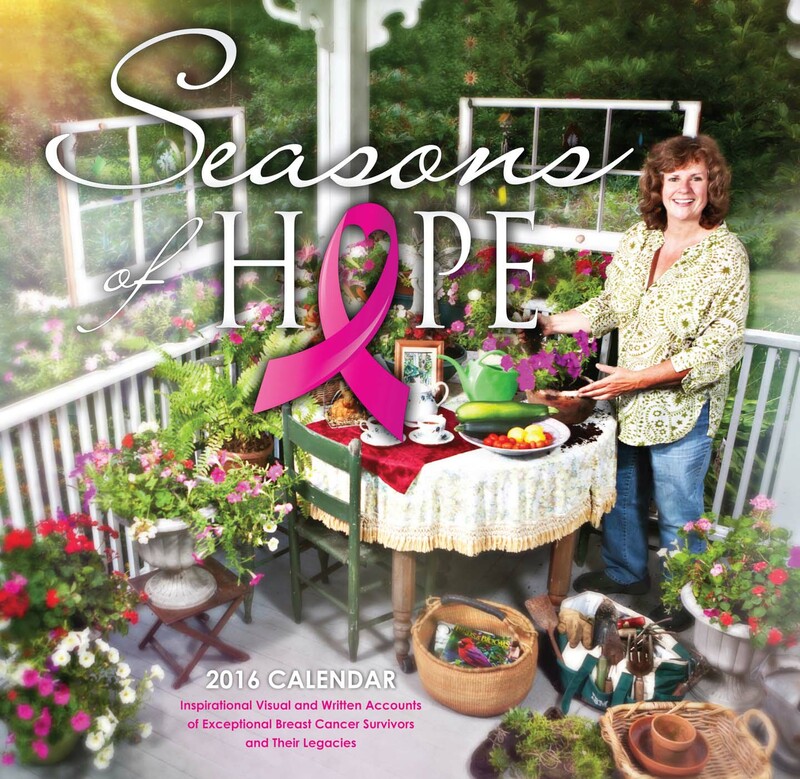 To help change those odds, the talented portrait and fine arts photographer Kathie Austin of Kathie Austin Photography and award winning author Matthew S. Field have produced the Seasons of Hope 2016 Calendar (Matting Leah Publishing, 2015). The Seasons of Hope 2016 Calendar features Austin’s compelling portraits and Field’s biographies of 12 dauntless survivors. “We want Seasons of Hope to be a win-win,” Field continues. “In addition to our stated mission for the project, we will also donate a generous portion of the proceeds to a local organization that helps families who face a breast cancer diagnosis." 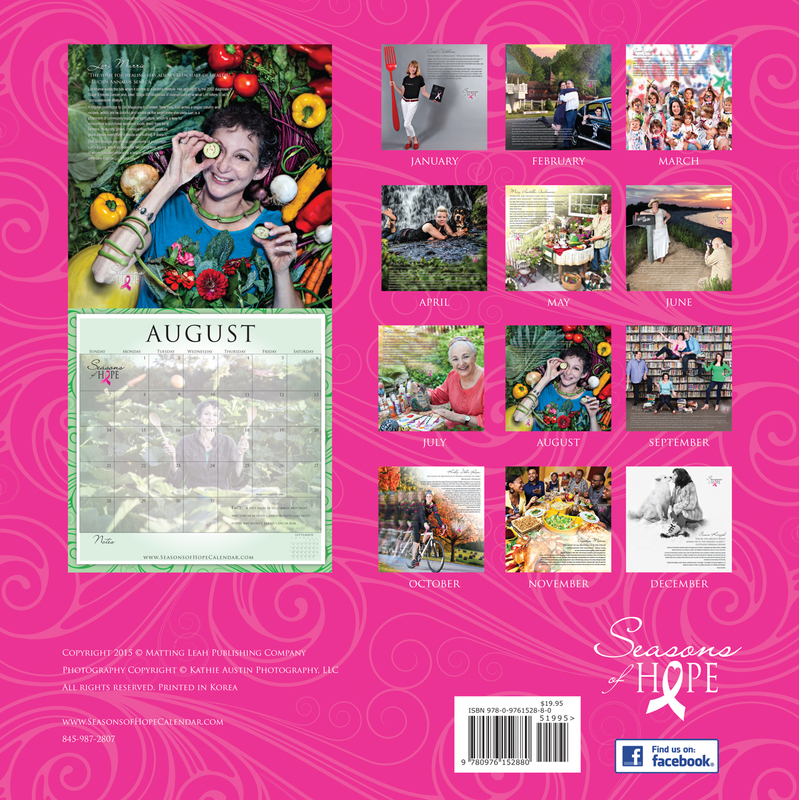 The Seasons of Hope 2016 Calendar is on-sale for $19.95 at numerous retailers and Amazon.com. For more information about Seasons of Hope, becoming a retailer, visit http://www.SeasonsofHopeCalendar.com or contact Kathie at 973-296-8000. Books by Matthew Field: "The Single Father's Guide to Life Cooking and Baseball,” Children's books include "Father Like a Tree," "The Three Pigs," "Business School" and "Wolfe Hash Stew" and "Sometimes, My Dad and I," which won a Mom's Choice Award, and mainstream fiction, "The Dream Seeker." Field was named the Times Herald-Record Reader's Choice "Best Author of 2011."